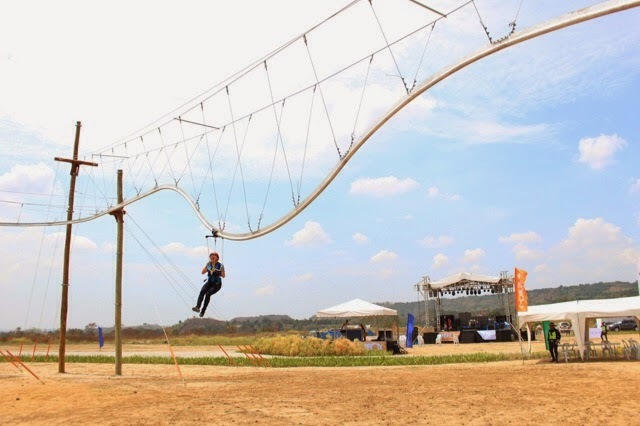 The Avatar One Roller Coaster Zipline in Porac, Pampanga is the first ever roller coaster zipline in Asia and in the Philippines. 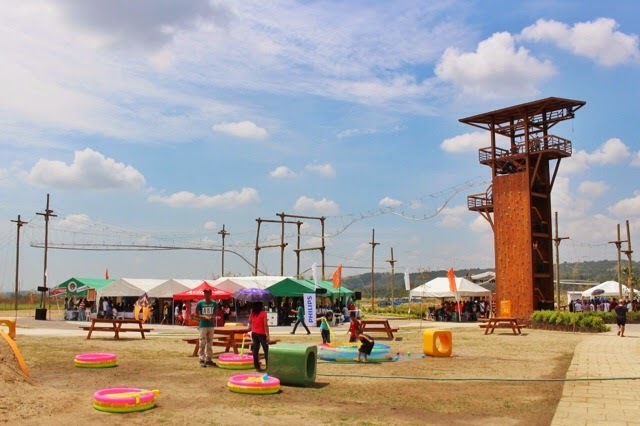 It is situated inside SandBox, an outdoor adventure park within the Alviera integrated mixed-use development by Ayala Land. 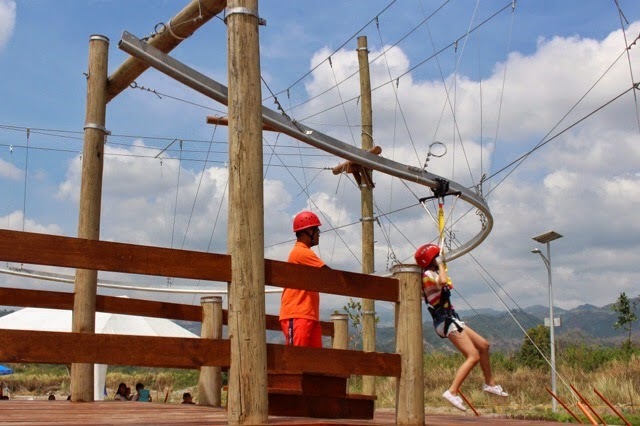 The park officially opened last April 12, 2014 and we were fortunate to be invited on the opening day to experience the attractions and activities available at SandBox. 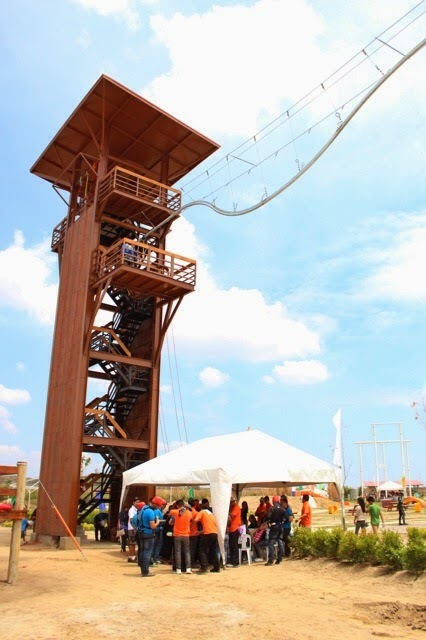 The experience begins at the Adventure Tower where riders are given an orientation and prepared for the ride with helmet and safety harness. 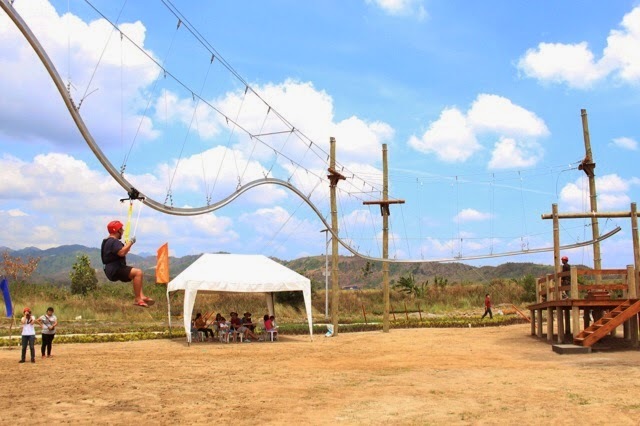 Unlike in a regular zipline wherein the rider zips down a cable in a straight line, the roller coaster zipline curves up and down, and left and right, giving a roller-coaster like experience. 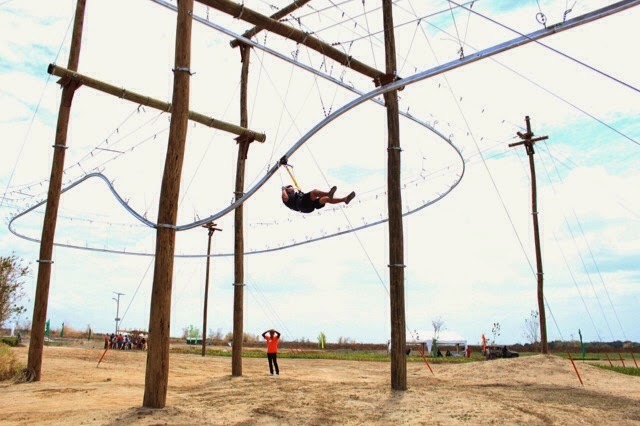 The curves of the zipline actually keeps a comfortable speed to the ride. Riders of any age will definitely enjoy the roller coaster zipline. 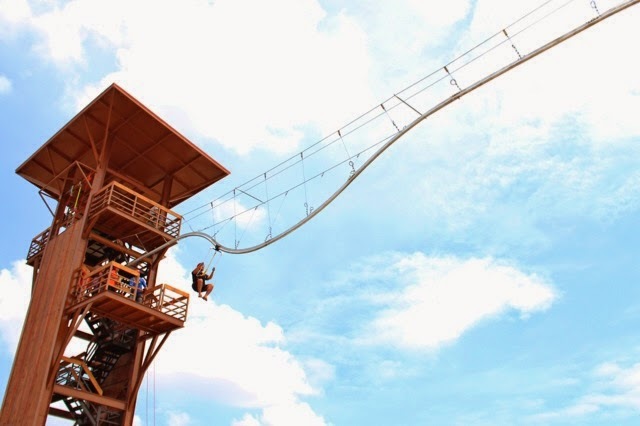 The entire length of the roller coaster zipline is 180 meters and the whole ride lasts for about one minute. An attendant waits at the end of the zipline where the rider slows to a stop. The attendant will then assist the rider off the zipline. 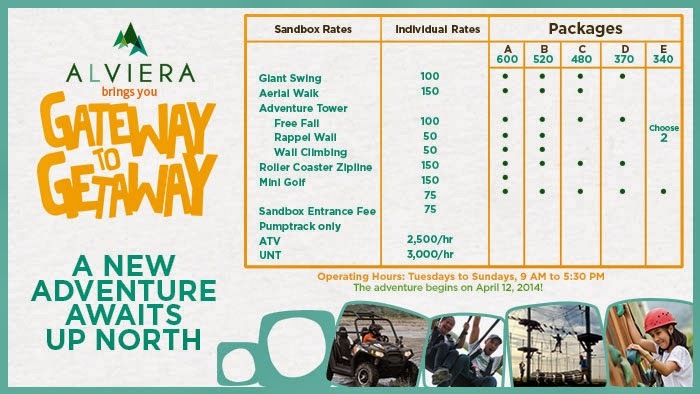 Entrance Fee to the SandBox is at P75.00 while a ride at the Roller Coaster Zipline costs P150.00. 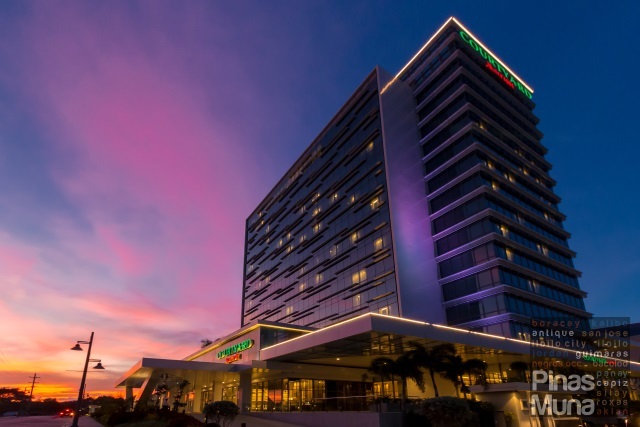 Alternatively, guests can purchase Rides Packages ranging from P340.00 to P600.00. SandBox is open from Tuesdays to Sundays, 9:00am to 5:30pm. By car, the fastest way is via SCTEX. 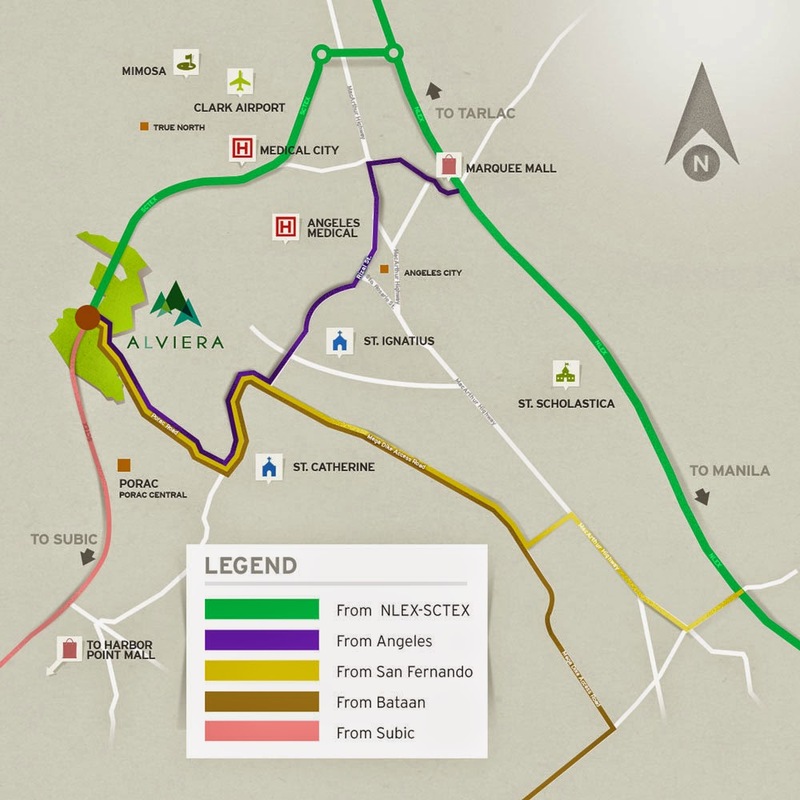 Take the Porac Exit and follow the directions on the road leading to Alviera. By public transportation, take a bus to Dau Terminal in Mabalacat, Pampanga. From Dau, take a jeepney to SM Clark. At the SM Clark jeepney terminal, take a jeep bound to Porac. 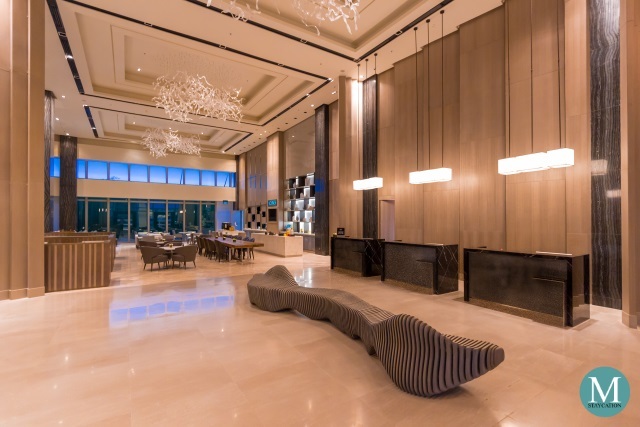 Tell the driver to drop you off at Alviera. Hope to win the tickets here! It will be a fun ride with my special someone.. congrats maam janine!!! Hi! 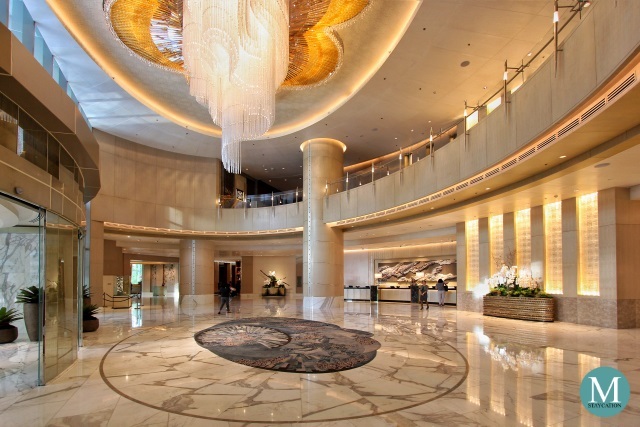 How many hours would it take from Makati to this place? By private car, around 1hr to 1.5hrs depending on your speed. Me and my friends wants to try this Sand Box adventures but we don't know how can we get there . 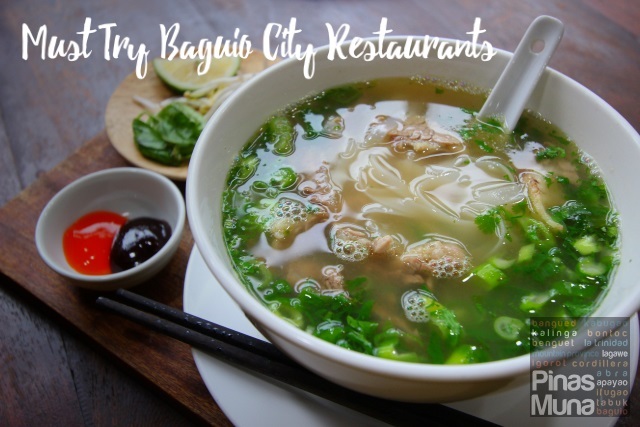 By the way we are from Cagayan de Oro City . Can teach us how can we get there from NAIA Airport ? Thanks! thanks! we'll keep that in mind . we're still inviting lots of friends to join para mas masaya ;) thank you again . Hi, my boyfriend and I are planning to visit Sandbox this weekend at around 9am to avoid the heat. But is it true that jeepney terminal at SM Clark opens at 10am? Thank you! May marerefer po ba kayo for van rental? For 25 persons. 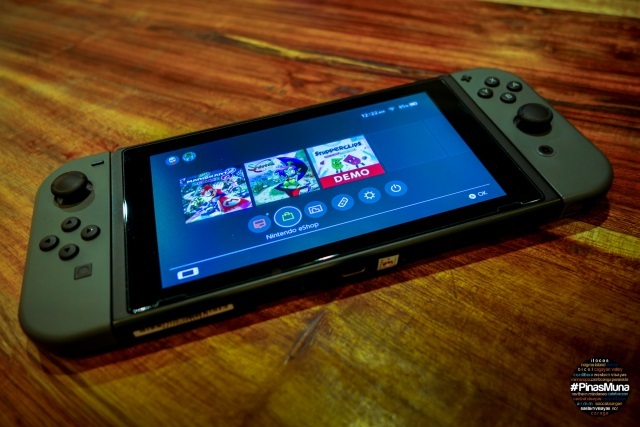 Any contact number? Thanks.